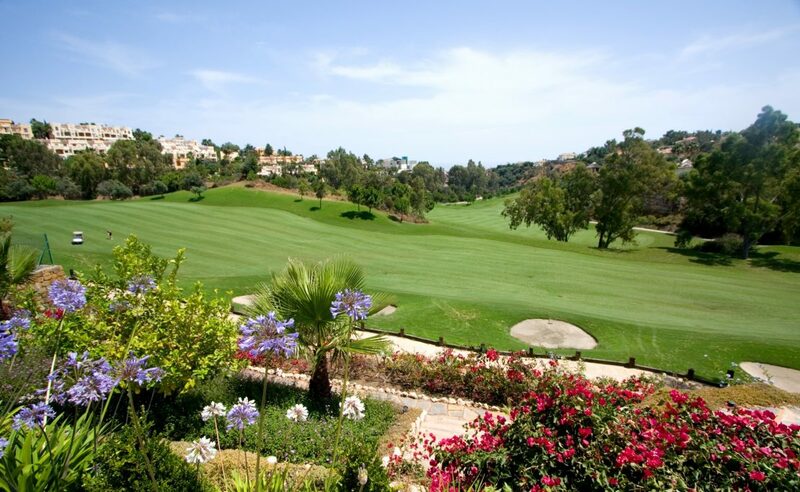 Front Line Golf Villa Close to the prestigious Las Brisas golf club house course with open views to the golf valley. This villa is built on two levels to a very high standard and has the best South-West orientation, together with privacy. The garden is beautifully landscaped including a 15m2 × 5m2 pool. Other features include; open plan kitchen with top quality appliances, spacious lounge, dining room (in-door and outdoor), sitting room/media room and a laundry room. There are three separate gated entrances. Built on two levels, accommodation comprises on entrance level:- spacious entrance hall with guest WC; large open plan living area with fireplace and access to the terrace (outdoor dining) and garden with swimming pool; and all bedrooms with access to a wrap-around terrace with amazing views to golf and mountain. There is also an independent one bedroom apartment on the first level. Under floor heating throughout and an alarm system in the whole villa. This villa must be viewed to appreciate the top qualities! This villa portrays an ultimate example of timeless modern home using natural tones and colours, travertine and natural stone, wooden elements and attention paid to the smallest details. This villa not only creates space and but creates a highly comfortable and multi-functional distribution in a timeless design. 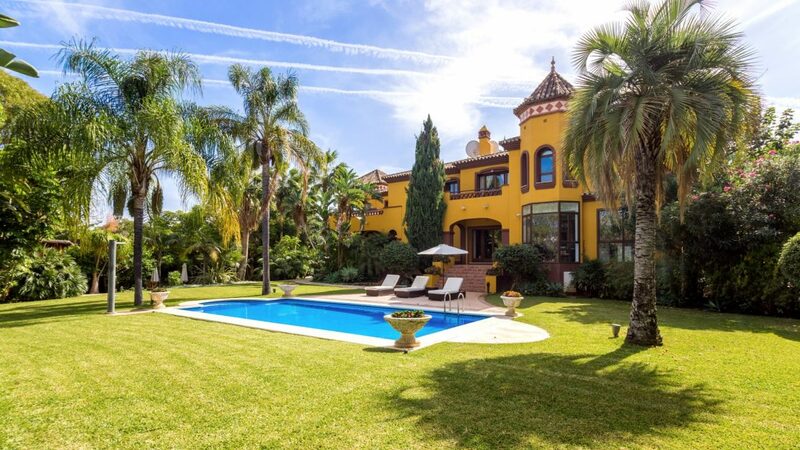 Please, send me more information about ref W-022J9T, Villa in Nueva Andalucia or similar properties.